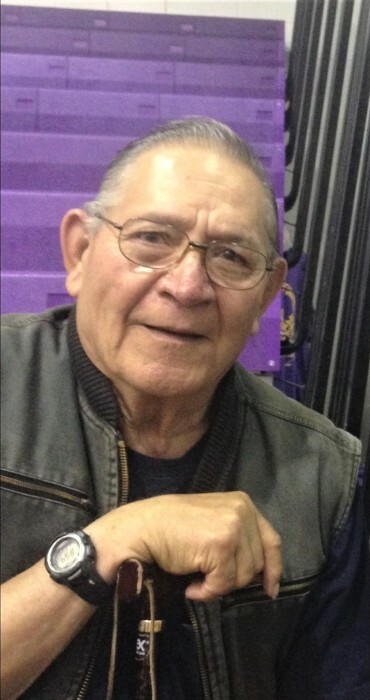 BEEVILLE – Jesus “Jessie” E. Cantu, 85, of Beeville, died on Jan. 29, 2019. He was born on Aug. 6, 1933 in Monterey, Mexico to the late Rafael and Adela (Perez) Cantu. He had served in the U.S. Army and was the retired owner, for over 40 years, of Jessie’s Auto Garage. He was preceded in death by his wife, Patricia Gonzales; one son, Robert Cantu; a sister, Tammy Perez and four brothers, Joe, Adolfo, John and Americo Cantu, Sr. He is survived by four daughters, Mavis Worley of Beeville, Audra Garcia of Houston, Tx, Janet (Mark) Gallagher of Beeville and Jessica Gonzales of Victoria, Tx; three sons, Americo (Fran) Cantu, Jr of West Virginia, Jesus “Jessie” (Samantha) Cantu, Jr of Ft. Worth, Tx and Trey Cantu of Beeville; four sisters, Hazel (George) Bernal of Beeville, Elsie Boren of Portland, Tx, Martha Chamberlain of Corpus Christi, Tx and Nancy Garcia of Beeville; one brother, Fred Cantu of San Antonio, Tx. He is also survived by six grandchildren and two great grandchildren. Visitation will be held from 4-9pm on Friday, Feb. 1, at Oak Park Memorial Funeral Chapel. A rosary will be recited at 7pm. The body of Mr. Cantu will lie in state at 9am on Saturday, Feb. 2, at St. James Catholic Church. Funeral mass will be celebrated at 10am with Fr. Jacob Valayath officiating.